You are here: Home / Blog Post / Selling a puppy at the benefit auction? Take steps to protect the dog. Selling a puppy at the benefit auction? Take steps to protect the dog. This was an older lab puppy. This past weekend I was browsing through dog rescue sites looking for “my” dog (I can’t wait to adopt!) and it jogged my memory to write this post. In Benefit Auction Ideas, I’ve written before about the selling of a benefit auction puppy. There’s a proper way to present the animal. We covered selecting the perfect breed for your group, what to refrain from doing, and other tips. I’m not going to re-hash that content here, but I do want to offer some ideas on how you can protect the animal. This lab was sold at a private Maryland school. It was brought to school two weeks prior to the gala so parents could start considering the option to bid. Keep in mind that some groups don’t agree with the sale of live animals at a benefit auction. The official position of the Humane Society is that animals should be prohibited from being sold at auction. They have a perhaps valid fear that the animals will go into homes where they won’t get good care. To get your match-making off to the right start, let’s consider ways to protect the animal to ensure it goes into an appropriate home. This Cavalier King Charles Spaniel made a splash at the benefit auction. He was sold into a home with another just like him. Check-in with the winning bidder after a couple of weeks, a couple of months, and even at six months. If the first bidder finds that the relationship isn’t a match, the back-up bidder might be a great option. You’ll need to find an progressive shelter to help you with this, but the idea is that you’ll be selling the opportunity to adopt an animal from the shelter. The shelter can bring three or four sample animals to the benefit auction, giving guests a range of animals on which to bid. Your organization will pay for the adoption fee and the package should include some of the add-ons mentioned above. With this approach, you’re solving a problem with the shelter, and you aren’t putting the animal into a home where it might eventually be taken to the Humane Society anyway. Keep in mind that many groups require a home visit prior to the adoption, so the Human Society is now tasked with that responsibility, not you. The point is to ensure your animal goes into forever home. All creatures deserve TLC. VIDEO: Could you host a benefit auction in a shopping mall? PODCAST: Selling a dog at the benefit auction? Take steps to protect the animal. I love your idea of selling the chance to adopt an animal from the shelter – much better to allow the animal professionals to handle that end of things. Do you people have ANY IDEA what you have done by publishing an article like this? 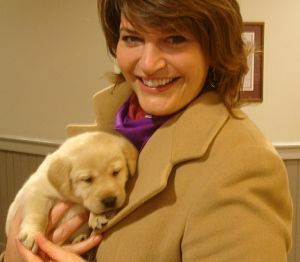 No joke- a woman tried to get a puppy to auction of at her children’s school benefit. Because of your article. I strongly suggest you take this article down before more people get ideas. Because they certainly aren’t going to follow the suggestions you have here. I appreciate you sharing your concern, Kaylene. 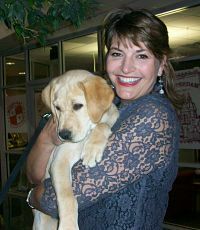 Puppies continue to be a part of some charity auctions and they continue to generate a lot of excitement among bidders. While some people don’t agree with the idea, I share my tips for how to be responsible. Thanks for sharing, Kathleen! I’ve found most animal clubs to oppose the practice. Personally, I’ve seen such great efforts made to protect these dogs … and I see them go into such excellent homes … that I’ve never once felt discouraged after a gala. Most animal clubs oppose this practice for a good reason, it is also opposed by the AKC and most dog advocacy groups and is illegal in several states. You are kidding yourself if you think your anecdotal evidence is reasoning that should replace their judgement. Dogs are not chattel, proper screening procedures and cooling off periods for buyers are the only accepted practice of responsible breeders AND shelters. I am going to fight for this legislation to be passed in NJ so irresponsible ignorant people and charities can take dogs off of their auction list for good. Your suggestions as to how to mitigate the risks are nothing short of ridiculous: buy them food? really? The only way to make this process safe is to pre-screen the bidders and only allow pre-qualified candidates to bid. That way only serious pet seekers will apply and only qualified pet owners will be in the bidding pool….but of course that would cut into your profit. And they say Wall st. has no scruples. I can only speak for myself. I’ve witnessed well-respected breeders work closely with their chosen charities to ensure all goes well for animal and human. So in 100% of my cases, the experience has been nothing but incredibly positive. But it’s a big world, so your life experience might be different. Whether I place a puppy into a happy family for $2500 or sell a signed basketball for $1000 or sell a trip to Bali for $12,000, the amount of money I personally make is the same. My goal in sharing the information is not profit-seeking, but information-sharing. Market the puppy? Your priorites are skewed. Actually Mary, it’s really important to let attendees know that the animal will be available. Just as how shelters market adoptable animals with photos, Facebook ads, adoption days, and such, it will be best for the animal and the charity if time is taken to let guests know about the puppy. I’d go so far as saying that when others suggest that animals are purchased “on impulse,” it’s because there was no marketing allowing a thoughtful purchase.